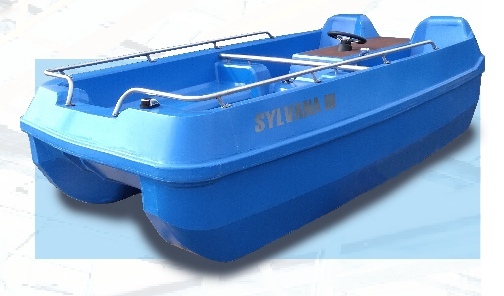 This hydrofoil speed catamaran boat, is a strong rotation moulded boat with a 25 hp 10kW electric engine. 2) Waterjet propulsion with the newest batteries, for high power en quick charging. NB: This boat will be presented on the Hiswa 2019.